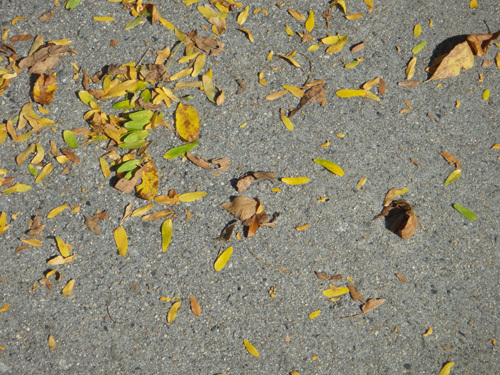 Look at all the leaves that have fallen off the girl ash tree down the street! She's looking pretty bare these days. But she is still holding on to that fruit! 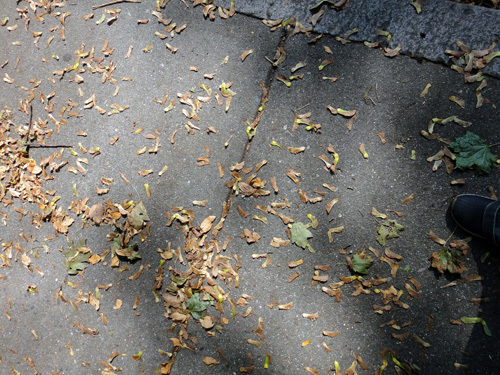 Unlike the ash, the maples are beginning to let their samaras fall. 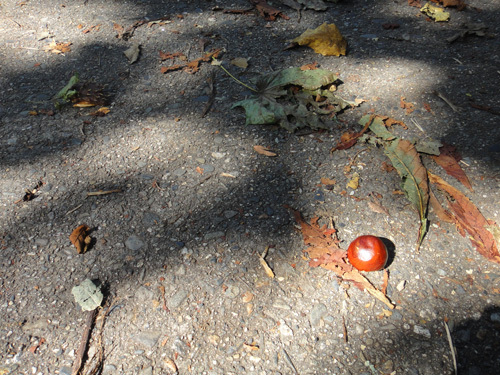 And I've even spotted a few chestnuts on the ground! The chestnut leaves are soooooo brown and shriveled now! 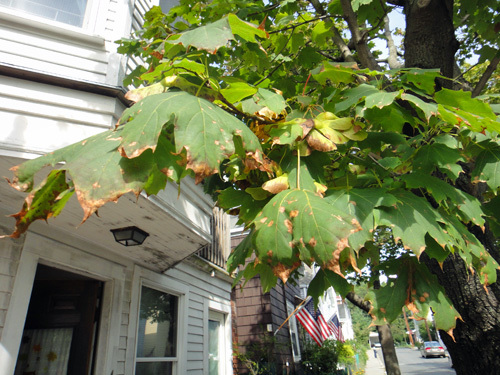 And the maple leaves are looking pretty yucky too. Which makes me wonder: which goes first the seeds or the leaves? 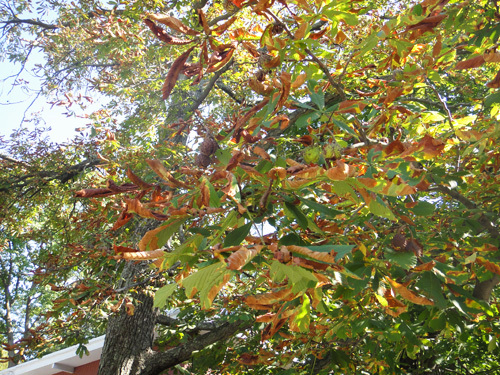 My girl ash tree is all about dumping her leaves right now, but she's still got her fruit, whereas the maples and the chestnut aren't dropping that many leaves, but the fruit is starting to go. 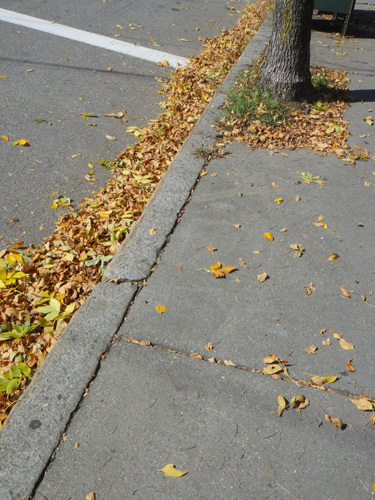 Why drop your leaves first? Why hold on to them? 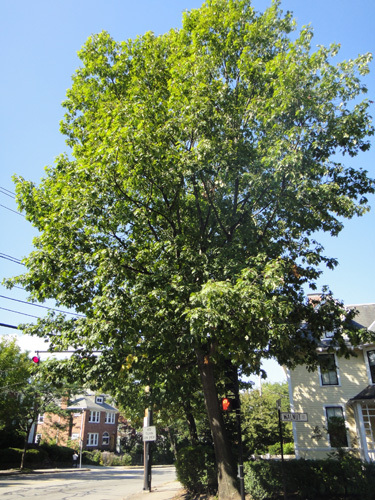 Do maple seeds ripen faster than ash tree seeds? 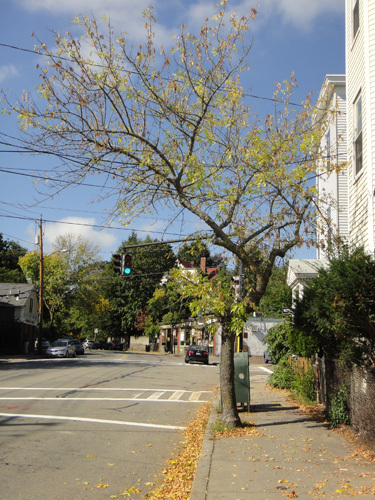 Do maple leaves last longer than ash tree leaves? 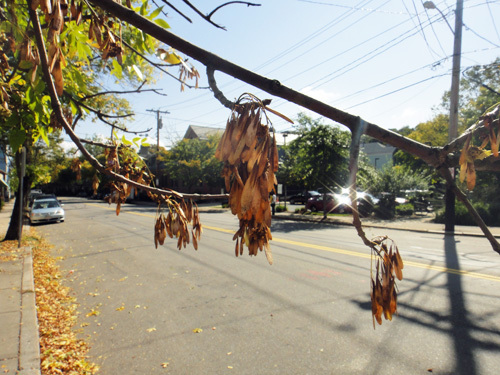 Even the honey locusts, which were so late to get leaves, are finally acknowledging the arrival of fall. I've spotted some yellow leaves up in the canopy. So that only leaves the oak still blissfully unaware and green as can be. But we know that these leaves too shall fall. This page contains a single entry by Alison published on October 3, 2011 9:14 AM. 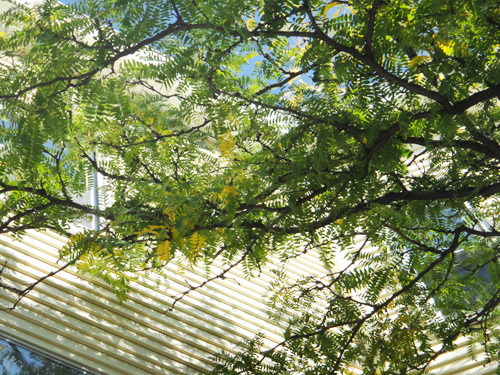 leaves was the previous entry in this blog. seeing red is the next entry in this blog.